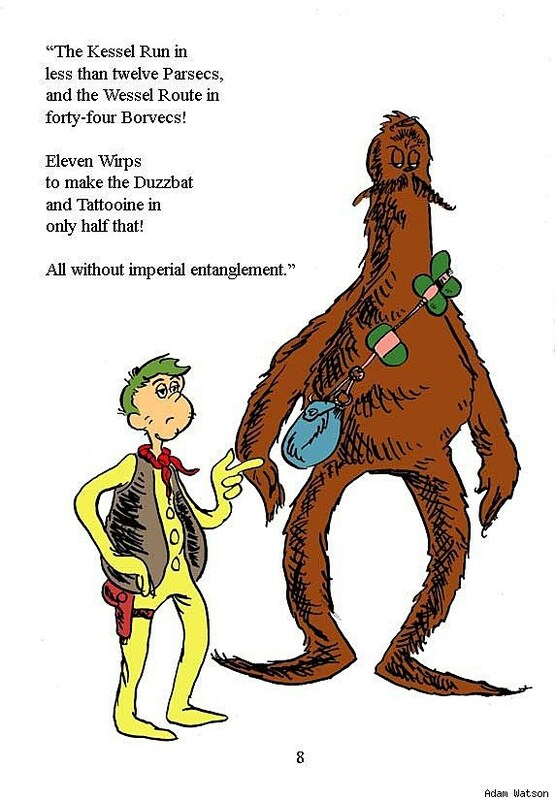 What if Dr. Seuss Created ‘Star Wars’? 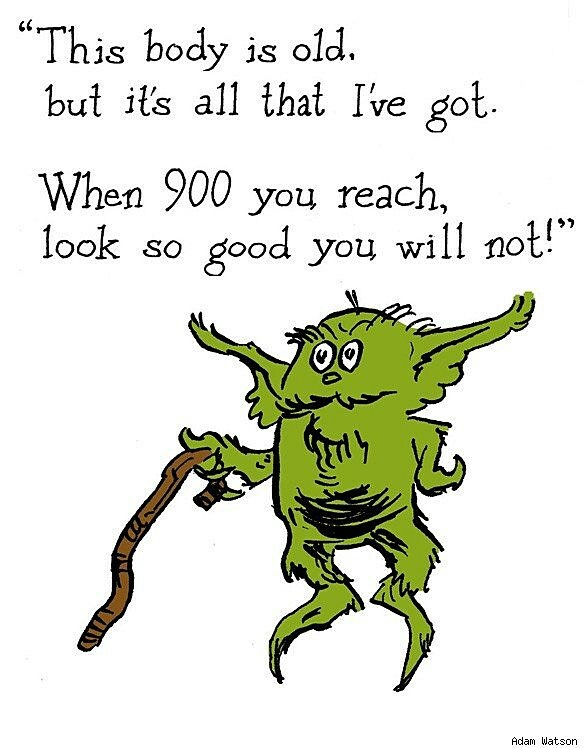 The whimsical speech of Jedi Master Yoda may have progressed from endearingly eccentric to Jar-Jarringly annoying in recent years and in recent films, but the 900-year-old's memorable dialogue and that of other characters from the Star Wars saga has been somewhat redeemed by cartoonist Adam Watson with some inspiration from an unlikely source: Dr. Seuss, who really should have created a book about something called a Nerfherder. 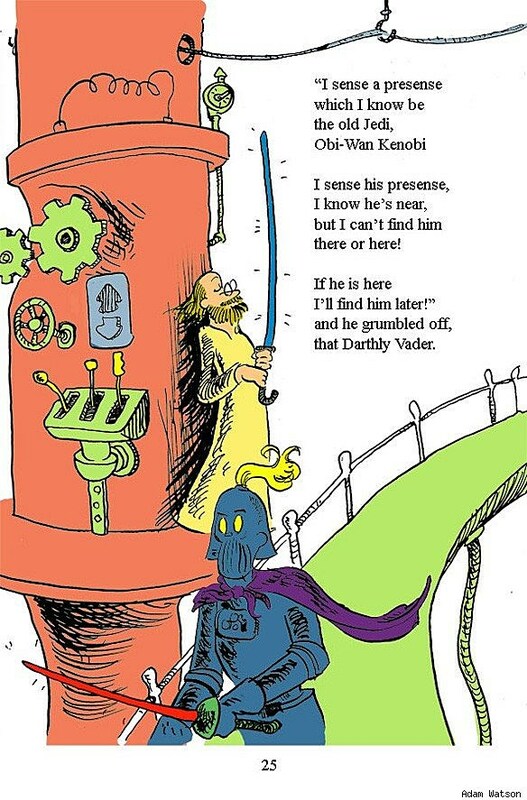 Acting on that anarchic artist impulse that we love so much about the Internet, Watson reimagined some famous Star Wars scenes and characters in the style of the legendary children's author, going so far as to create all-new rhymes in the Seussian tradition. The results are of course excellent, and like all the coolest things, make you wonder why nobody did this before. 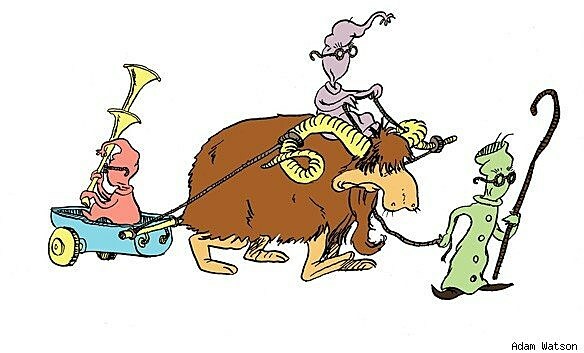 You can check out more of Watson's work after the jump.